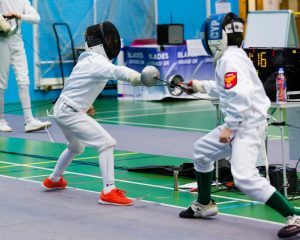 Michael Neophytou has enjoyed further success in fencing and is now ranked number one in the country for his age. 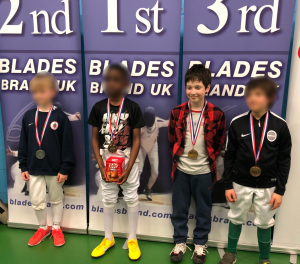 Michael, despite being aged only 10 is the current U12 North West champion, a feat that earned him a place at the British nationals in Sheffield, two years ahead of his time. On Saturday 29th March, Michael competed in the National Elite Epee Series Event 2 held in Peterborough. Fencing in the Under 10’s category, he was ranked 7th going into the direct elimination rounds, after a good performance in the poule fights. After narrowly missing out on receiving a bye, Michael won his first elimination fight with a comfortable 10-2 victory. He again won comfortably in the quarter-final, securing a 6-3 victory against last year’s national number one ranked fencer. The semi-final ended in a close 10-7 defeat, which meant that Michael claimed the bronze medal! This fantastic result has pushed Michael up to 1st position overall in the under 10’s National Elite Epee series. Congratulations Michael!